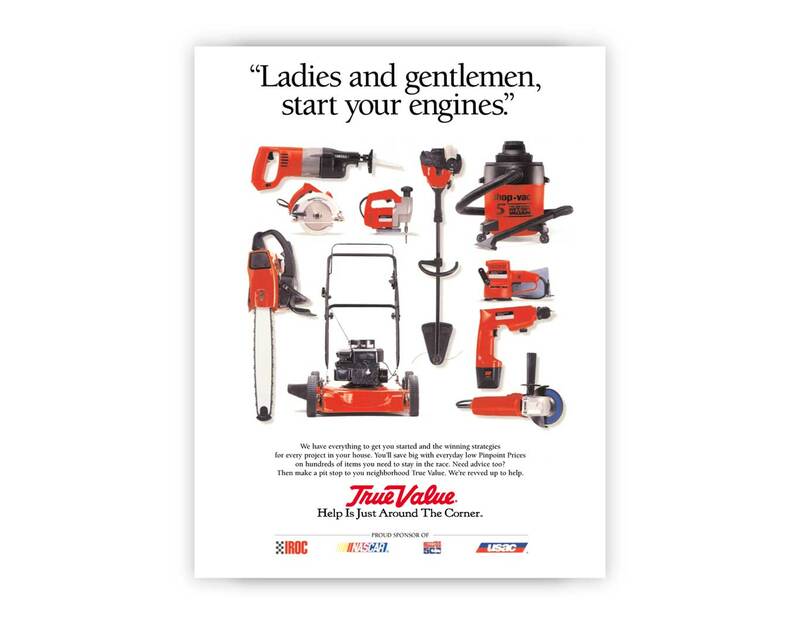 True Value is an international member-owned cooperative of hardware stores. 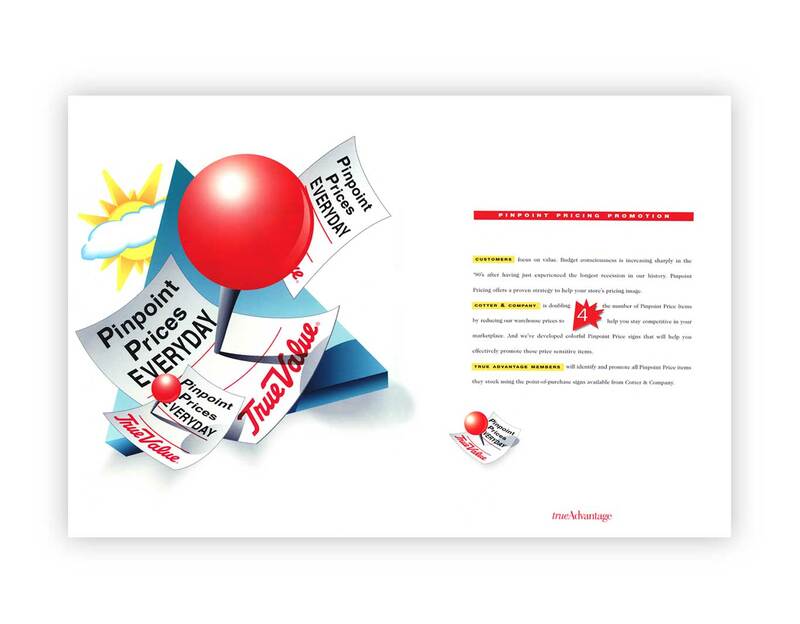 True Value Company consolidates the cooperative’s buying power to get the best prices for their network of local stores. 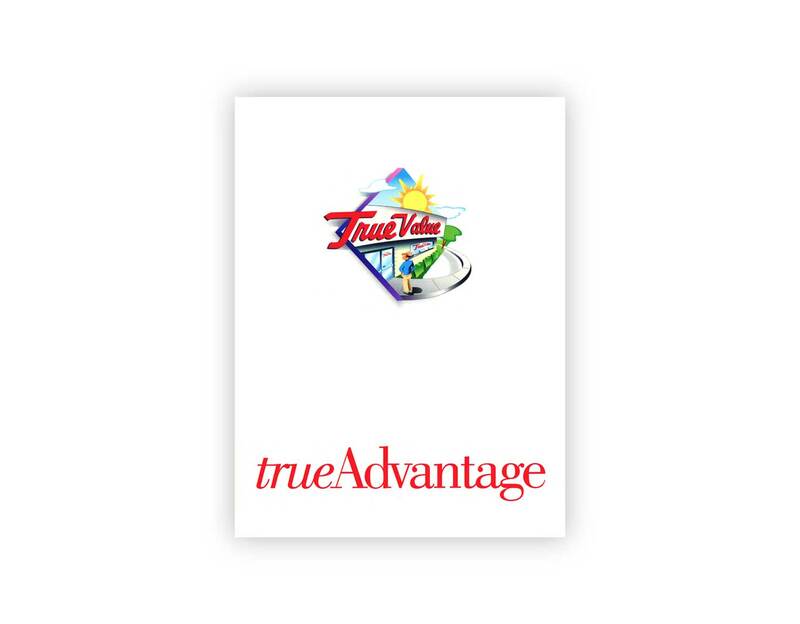 In addition to marketing for NASCAR and major holidays, my team was assigned to launch the trueAdvantage program- a contract designed to offer financial incentives and store upgrades for promoting the brand. 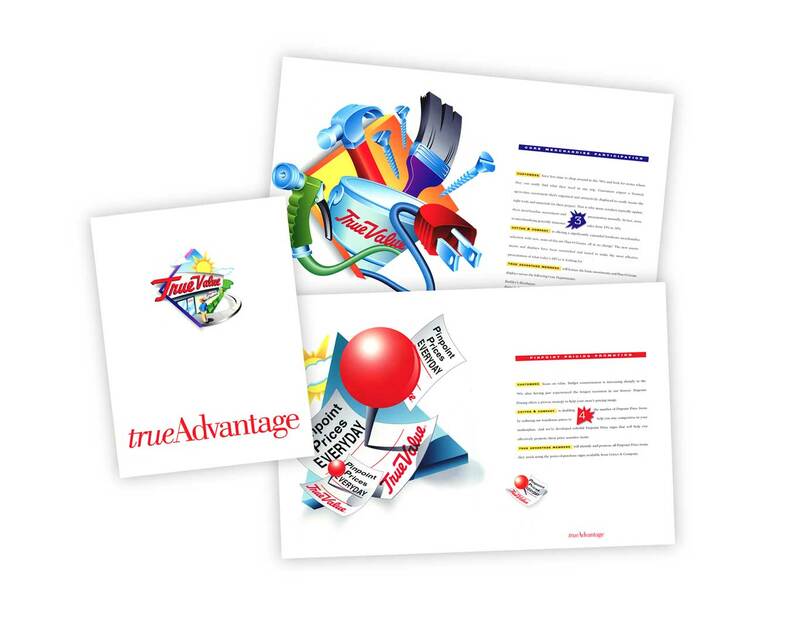 The 28-page brochure outlined the initiative and included contract printed on a translucent insert. 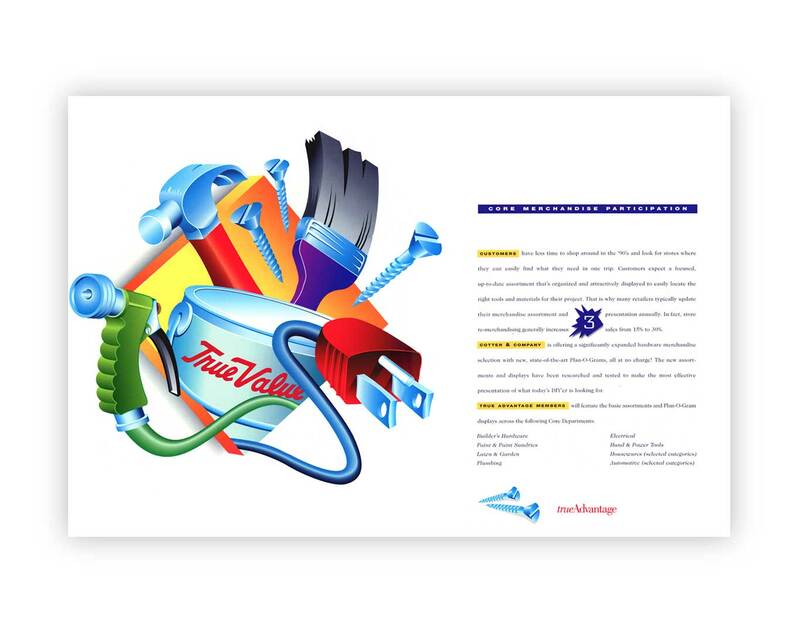 The success of the campaign resulted in the agency contract being renewed for and additional two years.